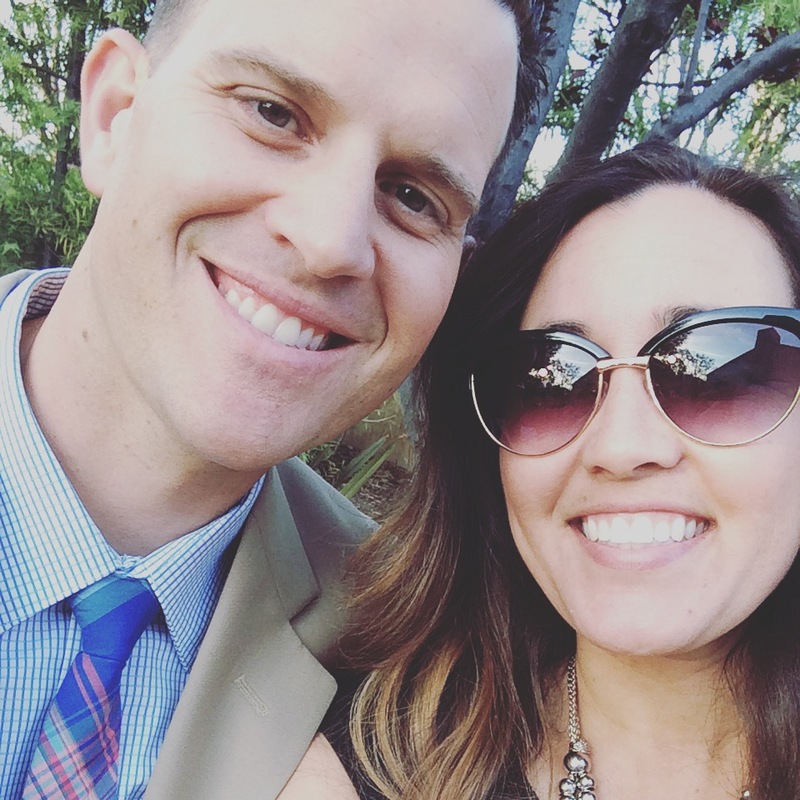 We are Michael and Christin and we want to thank you for taking the time to read our profile and learn more about us. Having been through the adoption process before, we know how important it is for you to feel peace with your decision. We know that an adoptive parents’ greatest joy comes from a birthmother’s greatest sacrifice. And we are in awe of your courage, resilience, and love that you have shown for your child. We believe it is a huge honor and privilege to become adoptive parents and we accept our responsibilities to you and your child with the utmost commitment. We have known each other since we were freshman in high school although our love for one another did not start then. After we graduated high school, Christin went on to college and Michael joined the military. Shortly after his enlistment, Michael was deployed to Iraq for sixteen months. During his deployment, we began exchanging letters that led to a strong friendship between the two of us. Upon Michael’s return home, our friendship quickly blossomed into a loving romance, which has resulted in almost 7 years of marriage. Early in our relationship we talked about our future and our hearts’ desire to have a family. That family we spoke about included adoption. Our plan was to have two biological children and then adopt one to two more. But “our” plan is not the Lord’s plan and after several years of infertility testing we knew His plan was for us to grow our entire family through adoption. We have faced many challenges in our relationship from Michael’s second deployment to Iraq while we were engaged to the struggle to grow our family but through it all we can honestly say we love each other more today than ever. And having known each other over half our lives we know how to comfort each other, how to make each other laugh, and how to solve problems together. We have heard that one of the greatest gifts parents can give their children is a loving relationship with one another. We believe this whole heartily and are truly best friends or “TEAM US” as we like to call ourselves. We became a family of three when our daughter was born on January 2, 2015 and we could not imagine our lives without her. We were matched with her birth parents in late November, just a few weeks prior to her due date. Over the next few weeks we were able to talk on the phone and visit with them several times. Our anticipation and excitement grew when we received the phone call to tell us they were going to induce on New Year’s Day! When we arrived at the hospital, we were asked to come in the room as her birth mom decided to have us both in the room during delivery. We were beyond grateful to share this experience with her. When she was delivered the best word to describe that moment was bittersweet as we could see in her face the love and desire she had to care for her coinciding with the pain of knowing she was unable to give her the life she dreamt for her. The magnitude of love her birth mom gave us in making us parents is not lost on us, it consumes us and is what makes us a family of three. We will forever tell her about the love they have for her and the amount of strength it took in choosing life for her. Having gone through years of pain and tears trying to conceive, our perspective on parenting is vastly different from others. We are thankful for sleepless nights, dirty diapers, and temper tantrums because these mean that we get the opportunity to be parents. We will forever be grateful to God and our children’s birth parents for giving us this beautiful gift. We have enjoyed every moment of being parents and we cannot wait to add another child to our family. Michael is the most humble, loyal, warm, patient, persevering and intelligent man I know. He has taught me a lot about life and is always encouraging me to try new things. He has a child like spirit when it comes to his love for the Lord. Along with all these amazing characteristics, he is pretty funny too; he is usually the one making everyone laugh, especially me. He served in the Army for 4 years and then became a firefighter/paramedic with the Los Angeles County Fire Department. These roles fit him perfectly because he possesses a great deal of compassion for others and a willingness to serve unselfishly. In addition to excelling in his job, he enjoys working with tools or “man stuff” as he likes to call it. He remodeled the inside of our home and has completed several woodworking projects. I can see the passion in his eyes when he is working at home or at the fire station and I know he will share those with our children. I always knew he was going to be an amazing father but I could not have imagined the magnitude of love and commitment he would have for our daughter. I remember during one of our visits with her birth mom, he asked if he could feel her stomach; I will never forget the excitement and pure joy on his face as he knelt down and felt her kick. He is her protector, her laughter, her teacher, and her hero. From day one he has played the guitar for her, danced with her, and sang songs to her and now her love for music just pours out. It warms my heart to know that she not only has him as her daddy but as an example of a husband too. Christin could be anything she wants, and I believe she wants nothing more than to be a mom. She is very intelligent and excels in all she does. She has a degree in journalism from Cal State Long Beach. She was very successful while working, her bosses always talked about her with the utmost respect. She could probably run a fortune 500 company, but instead chooses to run our household. She is constantly researching new ideas with our daughter to keep her constantly learning. Along with that planning new activities for her to have fun. Whether it is going to the park, a family fun zone, hanging out in the back yard, reading some books, learning about shapes, numbers, or the alphabet, she does it all with a smile and joy in her heart. To see her get a chance to be a mom with Kaelynn brings such joy to my heart. She has so much love for her that it pours out everywhere. She is loving, patient, nurturing, playful, and our daughters’ best friend. As soon as she leaves the room Kaelynn says “mommy where are you”. Before she was born we sat with our parents in the kitchen as we wrote out names on a chalkboard; the first name was always the same but we were trying to decide on a middle name. We wrote down several and then Christin wrote out the name Joy and instantaneously everyone agreed, that was it! We tell you this because those three letters, J-O-Y define our little girl to a tee. She brings joy to everyone she meets whether it is a family member or a checker at the grocery store. God must have known that day we picked her middle name that this girl was going to be someone special. She is now two years old with so much personality. She is smart, social, funny, and happy. She wakes up in the mornings and the first thing we hear on the monitor is “God loves babies.” From the moment she took her first steps, she has not stopped. She runs everywhere and is one determined little girl. She loves to read books, dance, play outside and most recently play with her baby dolls (I think this is a sign). We have a three-year-old German Shepard/Husky dog named Stella who has become her personal jungle gym. We know the day will come when she even tries to ride her like a pony. She is going to be a great big sister! We were both active children and our many experiences have poured into our passions as adults. We love sports, especially baseball and one of our bucket list items is to visit every professional baseball stadium in the United States. We took our first trip as a family of three last year to Chicago and we are anticipating our next trip where we can have another little one to help us catch some foul balls. We also enjoy being outdoors from camping at the ocean, relaxing at the river, swimming in Palm Springs, hiking through the tallest trees, walking with our dog Stella, to running races; being outside is a happy place for us. When we were looking for a house we knew that we were looking for three things: a family oriented neighborhood, great school districts, and a house that could hold a family. Fortunately, we were able to find all three. The city we live in provides a wealth of activities for kids from movies and concerts in the park, swim lessons, and summer fairs just to name a few. We have our family and friends over frequently for birthdays, holidays, game nights, play dates, and BBQ’s. Everyone is excited about our decision to adopt again and thrilled to have a future teammate to join in all our fun events. We promise to love, care, and attend to your child, to provide a foundation for good morals and to offer a life of joy and security. We promise to teach them about God and to have faith through tough times, as we both have done. We promise to always remind them of the love you have for them. As you face this heartfelt decision, please know you are covered in prayer by two strangers who would be blessed to meet you. And if you so choose, we would be honored to be a part of this precious journey with you.